Did you know that you can integrate ExoClick’s push notifications even if you have already configured your site with another push notification provider? The advantage of doing this is that you have more options to monetize your push notification traffic. 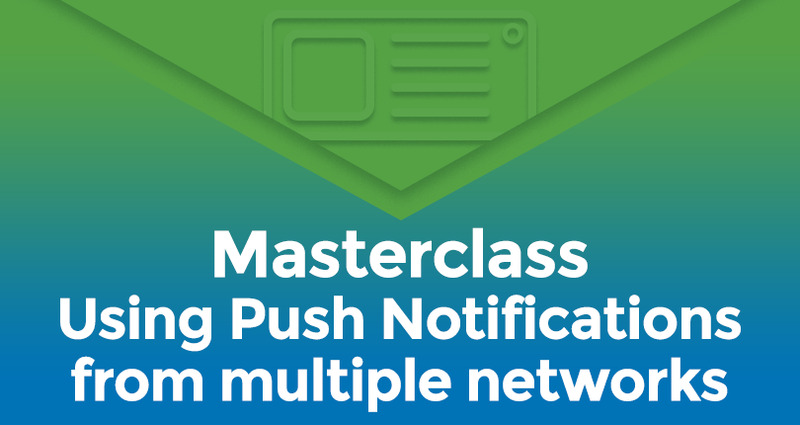 This masterclass tutorial will show you how to seamlessly integrate ExoClick’s push notifications without affecting push notifications from other networks. ExoClick offers different integration methods for push notifications, however if you also want to use other networks you will have use the Hosted method. The reason for this is that the push notifications will be sent out under ExoClick’s domain, which will then allow you to send another networks push notifications out under your own sites domain. Select the Integration Method: Hosted which defaults to also using a Soft-Ask Prompt. Then you can use default settings for positioning of and the default text for the pop window or select your own settings and write your own texts that will appear in the Soft-Ask Prompt box. Once you have clicked ‘Save’ the ad zone code is automatically generated for you so that you can cut and paste it into your site within the <body> tag. Once you have set the code in the page, the subscription message will appear to the end user as a popup window, even if you have another push notification provider configured on your website. That is how both systems can work for you together on your website. How will the end user see the opt in message? After the user clicks ‘Allow’ a second popup window appears asking them to ‘Allow’ or ‘Block’ the messages. One more click on ‘Allow’ ensures they will receive the push notifications. Please note: Within the first Soft-Ask box, if a user clicks the ‘No thanks’ box, he will be automatically retargeted again in 2 days time. If the user clicks the ‘Block’ button on the second pop up window, he will never be targeted again. 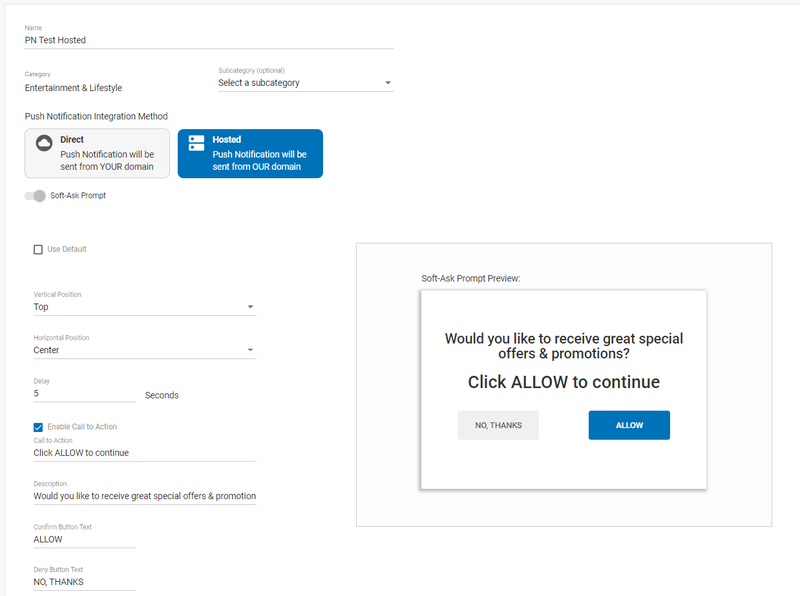 Even though the Soft-prompt sign up method is a great way to combine push notification subscriptions on several networks, we strongly recommend to use the direct link subscription which has higher subscription rate. See how to implement the direct subscription in this FAQ.